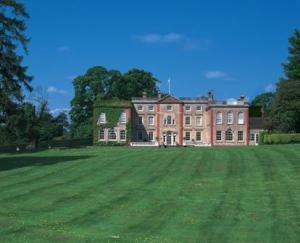 Choose from 51 hotels and guest houses in Worcestershire. Shown below a just a selection of the hotels available. To search within an area please use the menu on the right. Great Western Hotel offers good-quality en suite rooms, opposite Worcester Shrub Hill Rail Station and within walking distance of the city centre. Breakfast is served in the hotel's next-door Xpress Cafe from 07:30 until 15:00 (Monday to Friday). Continental breakfast available from 08:00 until 09:00 at weekends (on request). The hotel has a warm and friendly atmosphere and is within easy reach of Worcester Cathedral, the cricket ground, racecourse and the M5. The Great Western has a free secure car park with 24-hour CCTV monitoring. The hotel's bar is open until 23:00. Enjoy one of England's best views across 30 miles of The Severn Valley at this family-owned and run country-house hotel. The Daily Mail described it as "the best view in England", but that is not all you will discover there. Set in 7 acres of wooded slopes, Cottage in the Wood gives direct access to the 9-mile range of The Malvern Hills. The bedrooms are charming and distinctively different, the largest being in The Pinnacles. The highly regarded restaurant, Outlook, has 2AA Rosettes, a well-stocked bar and an award-winning wine list of about 600 wines. The Angel Inn Hotel offers en suite bedrooms and a relaxed, friendly bar and restaurant in the centre of Pershore, overlooking the central square. There is ample private parking (with CCTV) at the rear of the hotel, and the private gardens extend to moorings on the banks of the River Avon. All bedrooms have excellent facilities and some have views of the River Avon or the market square. The refurbished restaurant and bar offer set menus and fine dining, with locally sourced produce. The Vale of Evesham and the Cotswolds are about 10 minutes' drive away. The M5 (junction 7) is only 5 miles (8 km) away. Opposite the cathedral, in the heart of beautiful Worcester, this charming traditional coaching inn dates back to the 13th century and offers comfortable en suite rooms free Wi-Fi. Ye Olde Talbot Hotel has a great location, in the centre of the historic university city of Worcester, with its mixture of galleries, museums, ancient buildings, shopping, cafes, nightlife and riverside walks. 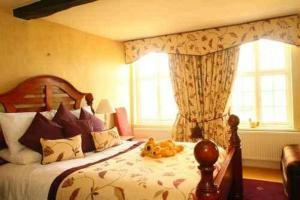 The hotel has 29 cosy en suite rooms, all of which are rich in individual character and unique charm. Each room has a telephone, TV, hairdryer and tea/coffee. The hotels bar lounge has a real open fireplace and offers seasonal modern and traditional options, including daily specials and stone-baked pizzas. To drink, there are real ales, wines and speciality teas and coffees. On Sundays, the hotel offers a traditional roast lunch. 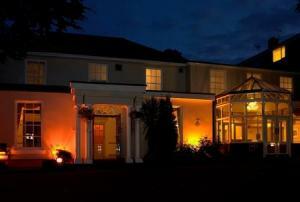 A superb quality hotel for business and pleasure and is within easy reach of Worcester, Cheltenham, and the Cotswolds. This impressive Grade II listed Victorian Hotel stands in a countryside setting on the outskirts of the riverside town The hotel provides an excellent range of bedrooms situated either in the Main Hall or adjacent Pear Tree Mews. Bedrooms have all been thoughtfully furnished and include a wealth of finishing touches. The abundance of Oak-panelled areas within the hall house many comfortable lounges in which to relax and unwind whilst enjoying this lovely Country House Hotel. Le Duc's Restaurant has been awarded 2 AA red Rosettes for its superb cuisine and staff pride themselves in providing friendly and efficient service. Occupying a central location within Great Malvern's town centre, this characteristic Queen Anne building offers a warm and friendly welcome to all of its guests. Unwind and enjoy the beautiful Town and Countryside in Malvern. With numerous picturesque towns and villages to explore, as well as the local festivals and events, Malvern will give you reason to return time and time again to The Mount Pleasant Hotel. Originally built in 1730, with the new wing being built in 1850, the hotel's restaurant has recently been refurbished to offer a modern kitchen serving an extensive ? la carte menu. Located in the historical county of Worcestershire, and surrounded by idyllic countryside, this elegant 4-star hotel is beautifully set in 25 acres of landscaped gardens. A typical country house, during your stay you can enjoy a stroll through the extensive grounds, in the walled garden with its beautiful water fountain or through the areas left in a semi-rural state, where wildlife are encourage to share the grounds. Alternatively, you can simply while away some time in front of a log fire in the comfortable lounge. A unique, privately-owned hotel with the ultimate levels of comfort and luxury, Stone Manor is the perfect place away from everyday life, yet easily accessible to major towns and cities. 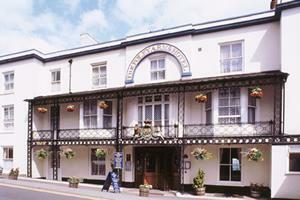 This historic Georgian hotel is set on the Malvern Hills in the centre of Malvern town. It has a bar/bistro and spectacular far-reaching views across the Severn Valley. The comfortable Foley Arms Hotel is ideal for touring, walking and cycling through the countryside and for exploring the Cotswolds, Welsh Borders and Birmingham. Enjoy Real Ales, wines and bar meals in the bar, or modern English dishes in Terrace Restaurant. Rooms have pleasant views, and the hotel has comfortable lounges and a large sun terrace for alfresco dining. Just a 5-minute walk from Kidderminster town centre, the hotel is set on the A456, within easy reach of many local attractions, including West Midlands Safari Park and Severn Valley Railway. A listed building, the Gainsborough House Hotel, Bar & Restaurant has recently been transformed into a stylish and contemporary property with 42 en suite bedrooms. It also boasts the ever-popular Gainsborough Restaurant, whose new surroundings and divinely tasty cuisine, prepared with fresh local ingredients, continue to delight. In the evenings you can relax in the Lounge Bar, which serves an extensive range of drinks and snacks to suit all taste buds. You can also watch the latest sports events on the bar's satellite TV. Overlooking the River Avon, this hotel is located within the 12th-century Deer Park of Evesham Abbey. The privately owned Riverside Hotel can be found along a secluded, private drive within the deer park. The uniquely furnished bedrooms are all en suite, and some have a Jacuzzi bath. The restaurant has won 2 AA Rosette awards for the past 6 years. 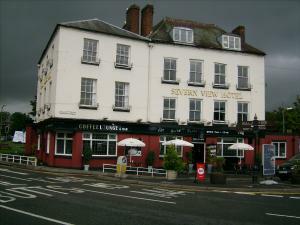 The Severn View Hotel is situated on the banks of the River Severn, in the heart of Worcester. 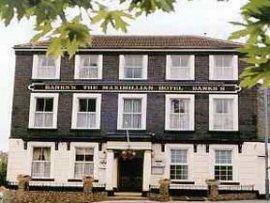 The hotel is a short walk from the city's main attractions. 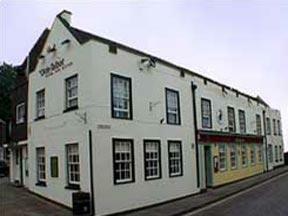 It is close to the bus station, train station, racecourse and Worcester Cricket Ground. All rooms have en suite facilities, and access to the bar and restaurant below. Drinks and meals are available in the restaurant at good-value prices. The friendly team are on hand to help you enjoy your stay. Set in 16 acres of beautiful countryside, Ramada Hotel & Resort Kidderminster offers comfortable rooms in an elegant setting, 17 miles (27.4 km) from Birmingham. Each of the 44 bedrooms has an ensuite bathroom, colour satellite TV, radio, hairdryer, trouser press and direct dial telephone with internet connection, as well as tea and coffee making facilities. Executive and non smoking rooms are also available. 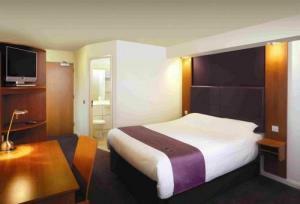 The hotel offers fully accessible bedrooms. 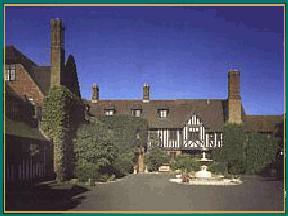 Bewdley Pines Golf Club is a short walk from the hotel. 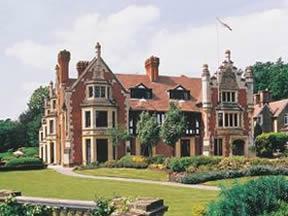 Local attractions include Severn Valley Steam Railway, Bewdley and West Midlands Safari and Leisure Park. Picturesque Ludlow, Stourbridge Glassworks, Ironbridge Gorge and Stratford Upon Avon, are a short drive away. Enjoy a day out in the country with visits to the Cotswolds and Malvern and Clent Hills. The warmest of welcomes awaits you at this guest house in the centre of Stourport-on-Severn where you can enjoy a comfy bed, tasty breakfast and free Wi-Fi internet access. Open over Christmas and the New Year, Oakleigh is a spacious listed Georgian property built around 1760, with a Victorian frontage. It offers many period features and is situated in an excellent town centre position. Set in the heart of Stourport-on-Severn behind a walled garden, it has a quiet and convenient location overlooking the river basins and the Staffordshire and Worcestershire Canal. 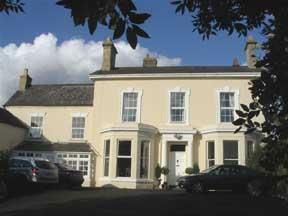 The guest house is less than 5 minutes' walk from the River Severn and offers ample customer parking and comfortable accommodation at reasonable prices. Olive Guest House is a family-run guest house offering comfortable accommodation with a free private car park and free wireless internet access. This spacious Victorian house provides a warm and friendly home-from-home feel. 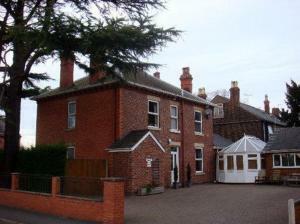 Olive Guest House is in Stourport-on-Severn, only 3 miles (4.8 km) from Kidderminster town centre and 11 miles (17.7 km) from Worcester. This English town house hotel boasts the air of elegant and discreet luxury. This quality hotel offers excellent service and comfort conducive to relaxation and sheer pleasure. The Fownes Hotel is only a two minute walk from Worcester city centre, offering quality of service and comfort. 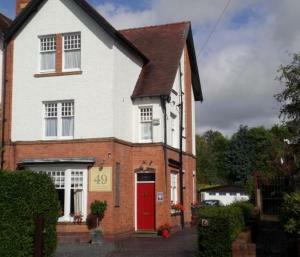 Formally a Victorian glove factory, the hotel is situated by Birminghams canal. The hotel has the air of an elegant town house with it's canopied entrance. Nearby there are various places of interest, including Cheltenham Race Course, Civil War Commandery, Worcester Race Course, Worcester Cathedral, and Worcester Cricket ground. The beautiful decor of the King's restaurant provides the perfect atmosphere for the finest classical English cooking. Our daily fixed price menus follow a seasonal theme using the best ingredients and local produce. We have a Conference venue that is perfect for confidential business meetings, private parties or exclusive entertaining. The boardroom, equipped with full conference facilities, is a sumptuously appointed suite with traditional decor, comfortably accommodating up to 22 people. An excellent location for business meetings for up to 50 delegates or functions for up to 110 people. The Menzies Stourport Manor is set within 23 acres of beautiful grounds near the town of Kidderminster, with a brasserie and leisure club. Enjoy a mouth-watering meal in the hotel's brasserie restaurant and finish your day in the superb Waves Health & Leisure Club. One of the finest 4-star, contemporary country house hotels in Worcestershire, The Stourport Manor Menzies offers a wonderful chance to relax and get away from it all. Fabulous food, peaceful surroundings, friendly staff, roaring log fires and just minutes away from the M5/M50, this gourmet hotel boasts the well-known Seasons Restaurant. Featured in the Michelin and Good Food guides, with 2 AA Rosettes, Colwall Park offers modern gourmet food using only the finest fresh ingredients. Home-made snacks and bar meals are also served in the popular Lantern Bar. In 2 acres of beautiful gardens, at the centre of the peaceful village of Colwall, you can easily explore the beautiful Malvern Hills, the picturesque Welsh Marches, or the Cotswolds. Footpaths from the hotel gardens lead directly onto the slopes of the hills, the source of the world-famous Malvern Water. Cheltenham and the nearby cathedral cities of Worcester, Hereford and Gloucester are all close by. In a quiet yet convenient location, with good transport links to the surrounding region, Wellington Lodge is an elegant Edwardian building that now houses a charming, family-run bed and breakfast. Close to the heart of Bromsgrove and just 2 minutes' walk from the town's train station, Wellington Lodge makes a convenient base, whatever your reason for visiting the area. Trains run regularly between Bromsgrove railway station and Birmingham, Worcester and beyond. The lodge also offers easy access to the region's major road network and the M42, M5 and M40 motorways are all just a few minutes' drive away. Free parking is available for guests' use. The lodge has a friendly and informal atmosphere and guests can relax in a separate lounge area. All of the charming en suite rooms are individually and tastefully decorated. Each well-appointed room offers modern comforts and facilities, including flat-screen LCD digital TVs, hairdryers, tea/coffee making facilities and luxurious toiletries and bathroom products. Free wireless internet is available throughout the lodge. A delicious breakfast is included in the price. Breakfast includes a generous full cooked English breakfast and smoked salmon and scrambled eggs served on a toasted bagel.